Whether you're preparing a meal for one or cleaning up after a family gathering, you probably use your garbage disposal regularly. During the holidays and special occasions, you're likely to give your disposal an extra workout. As common as this little hidden appliance is, not all garbage disposals are created equal. Garbage disposals vary in power, soundproofing, and the maintenance required. The plumbing underneath your kitchen sink can also impact the disposal's capabilities. From vegetable peels and scraped plates to when to run water, the ins and outs of proper use never occur to most of us. These tips can help keep your garbage disposal humming right along with your kitchen routine. 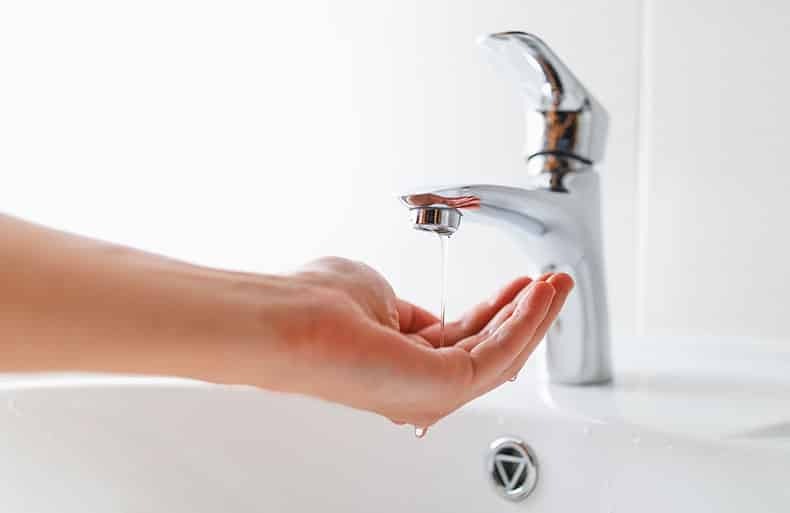 Most of us know the frustration that comes when home water pressure problems interrupt our routines, whether we’re starting our day with a shower, doing dishes, or watching a tub or sink take much longer than usual to fill. You may also notice that a washing machine or dishwasher is taking much longer than usual to complete a cycle. Have you ever had the misfortune of ending your morning shower to find that you're standing ankle-deep in water? You’re not alone. Standing water isn’t uncommon, but it is a clear indication you have a clogged drain. Clogged drains can cause more problems than just unsightly bathtub rings. It’s best for your pipes and your sanity to identify the cause of the blockage as quickly as possible. A clogged shower drain is usually caused by a small blockage of hair or other build-up that has accumulated, but it might also be due to a more significant obstruction in your sewer line. Over time, a clog may allow water to seep through shower joints via gaps in grout or caulking. You may even notice an unpleasant odor coming from your drain, which is usually an indication that there is debris clogging the pipes. Serious blockages may even result in bathroom flooding. Watch What You Flush Down the Toilet! We’ve all been told there are certain items that we just shouldn’t flush down the toilet, but even the smallest, seemingly inconsequential items can clog and contaminate. There are probably more than a few things we’ve flushed without realizing the impact on our pipes and the waterways around us. While tissues, paper towels, and wipes are similar to toilet paper, they aren’t quite the same. Most facial tissues are treated with chemical binders to help them stay intact, and even “flushable” wipes aren’t as soft and degradable as toilet paper and may contain may contain rayon or viscose, which accumulate in the oceans and bodies of water around us. Your best bet with products like tissues, paper towels, and wipes is to throw them in the trash. Bidets are also an increasingly popular alternative to flushable wipes.